Because of the nasty cold that I caught last week, I decided to cancel my plans to go to my brother for the weekend and opted instead to stay home and rest up. Thankfully, it was both peaceful and restful and full of reading, which I've been doing a lot of this summer. 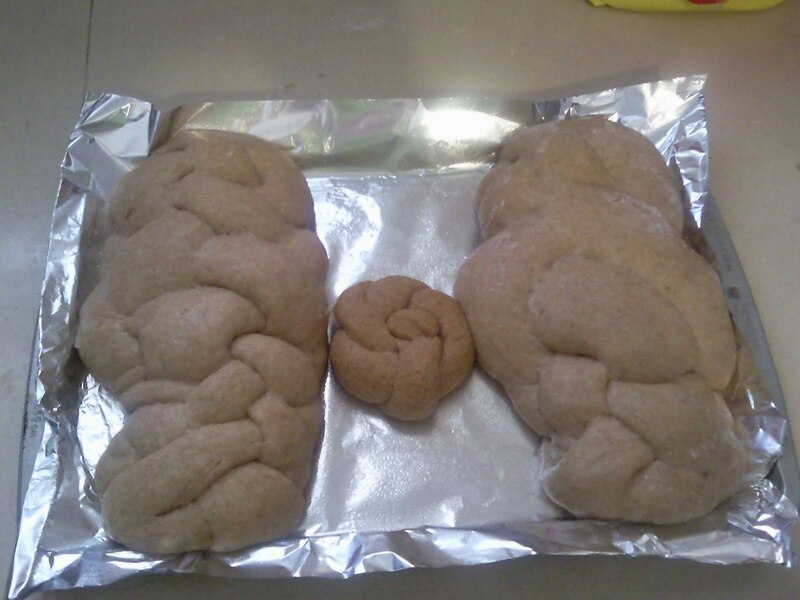 As is my usual, I like to make breads for Shabbat because that is the only time I allow myself to enjoy it. So I decided to make two breads, both recipes from Peter Reinhart's Whole Grain Breads, a book I own but don't bake enough from. 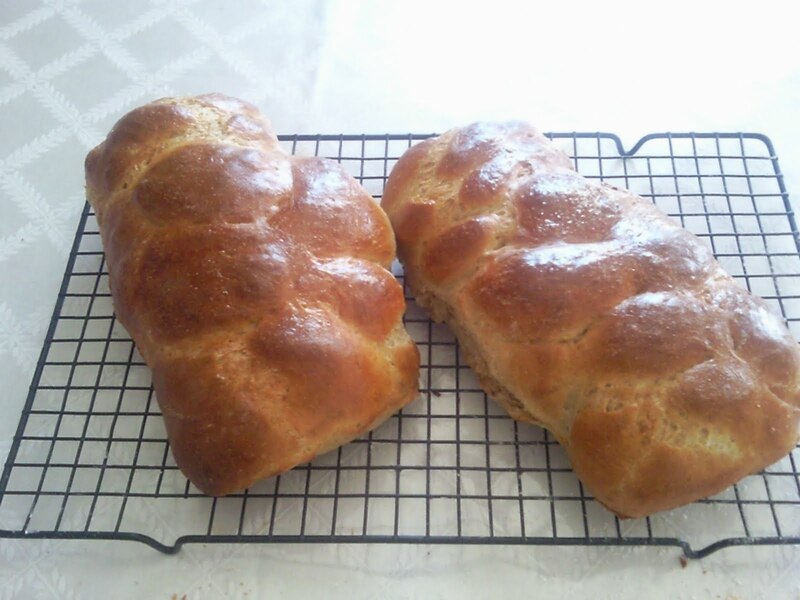 This recipe is his Transitional Whole Grain Challah- he might call it 50 percent in his book, I dont remember- this is not completely made with all whole wheat, that recipe is for a different time. 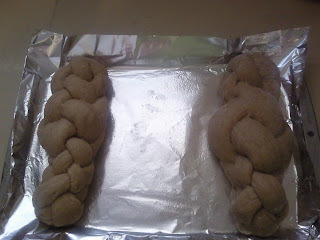 This post also marks the return of Challah Chronicles and I hope that I'll have many more this year. 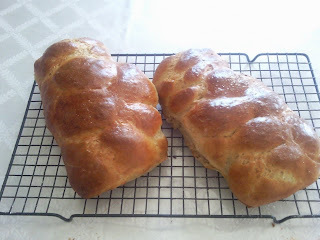 I've decided that every cookbook I have, bread books or other, contain Challah recipes and although I have recipes that I love, I decided I want to test each one and see what happens. So stay tuned on that front. Back to this week's Challah... The recipe calls for making a soaker and a biga the night before, which was easily done. 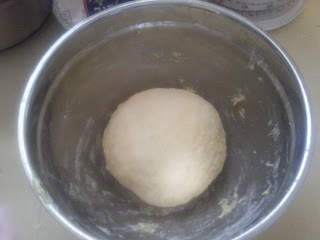 The next day, the rest of the dough is put together quite easily. Everything after that is standard challah baking procedure. My final dough was rather annoying to work with and the loaves themselves didnt look too beautiful, not something I'm used to. 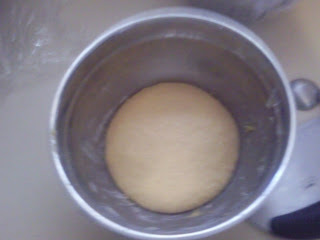 I think because of the summer heat and the high moisture in it, I didn't add enough flour to make a firm dough. So next time I would add enough flour to make a firmer dough. The crumb was nice and soft due to the eggs and had a nice flavor with undertones of honey. Happily, it wasnt too eggy or sweet that it couldn't be enjoyed with savory applications. This bread has been Yeastspotted. 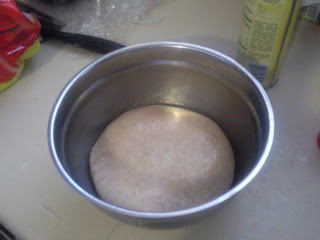 The night before baking, make the soaker and biga. 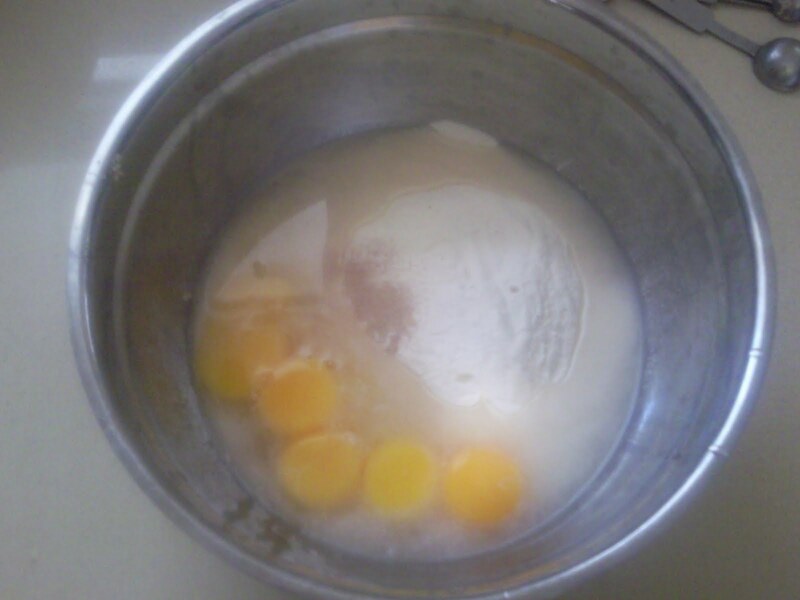 Place all of the biga ingredients in a bowl. Stir to make a shaggy dough. 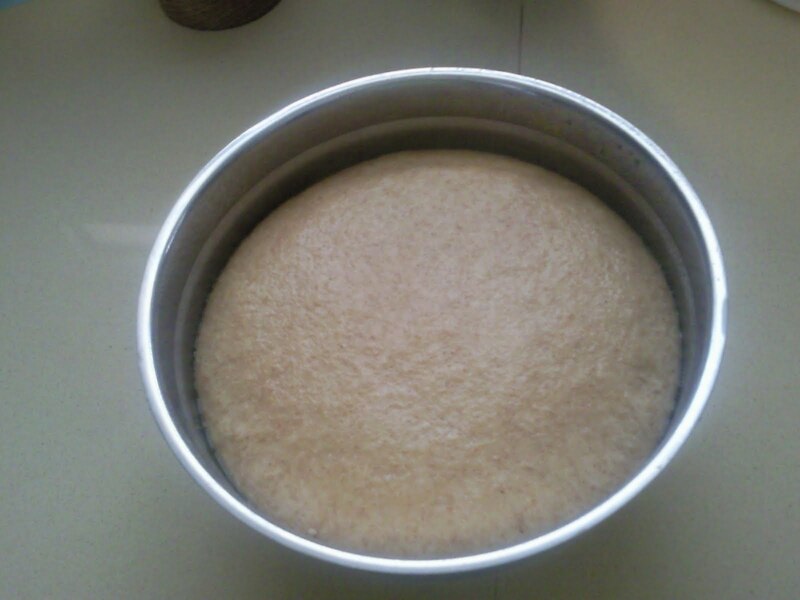 Knead until a smooth mass forms. 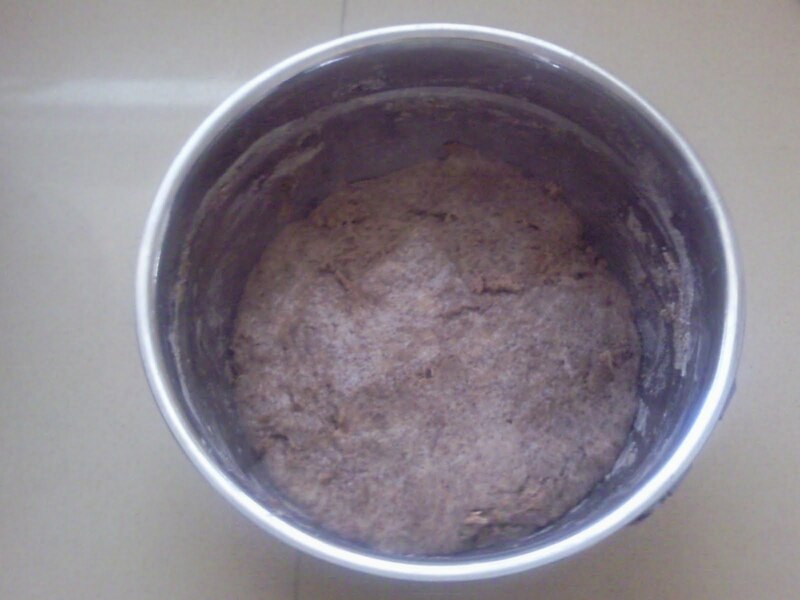 Place the biga in a bowl, cover and refrigerate overnight. For the soaker, place its ingredients in a bowl. 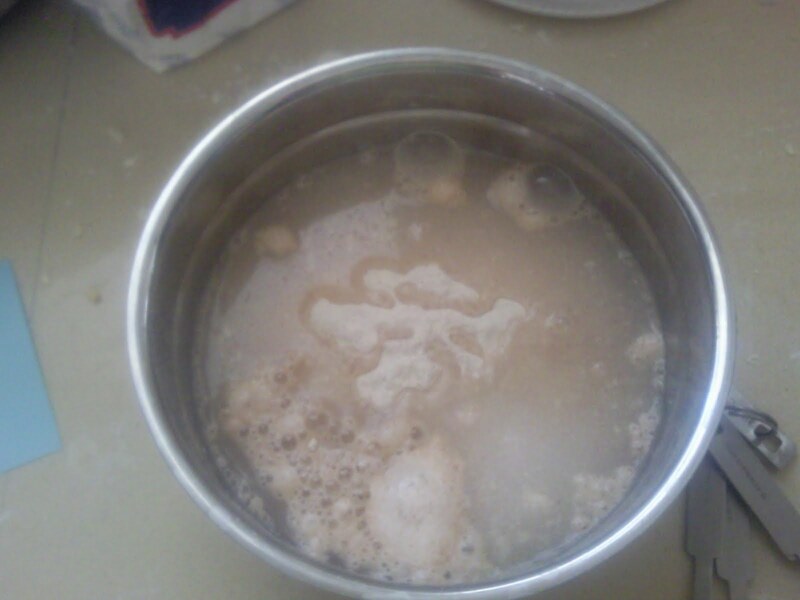 Stir to moisten all of the flour. You should have a thick paste like mixture. Cover and let sit overnight at room temperature. Here is the risen biga. 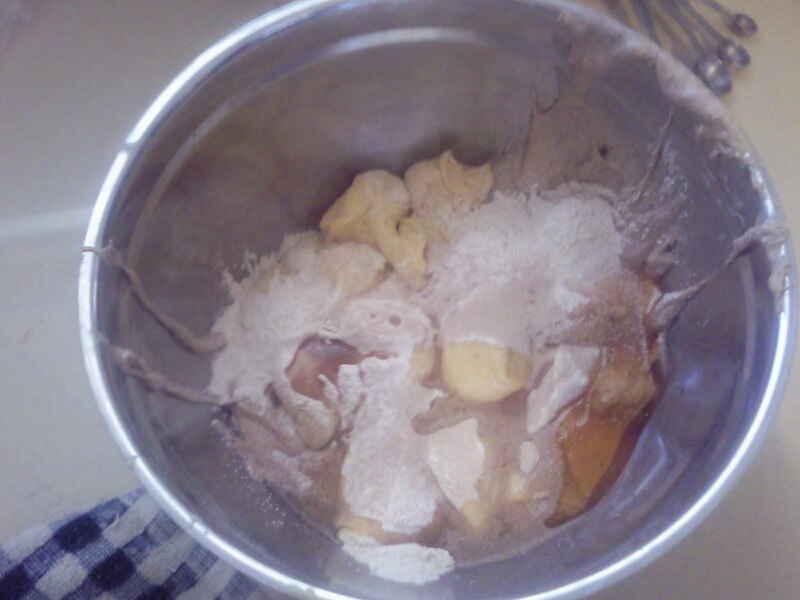 Remove from the fridge to dechill for a couple of hours before mixing the dough. 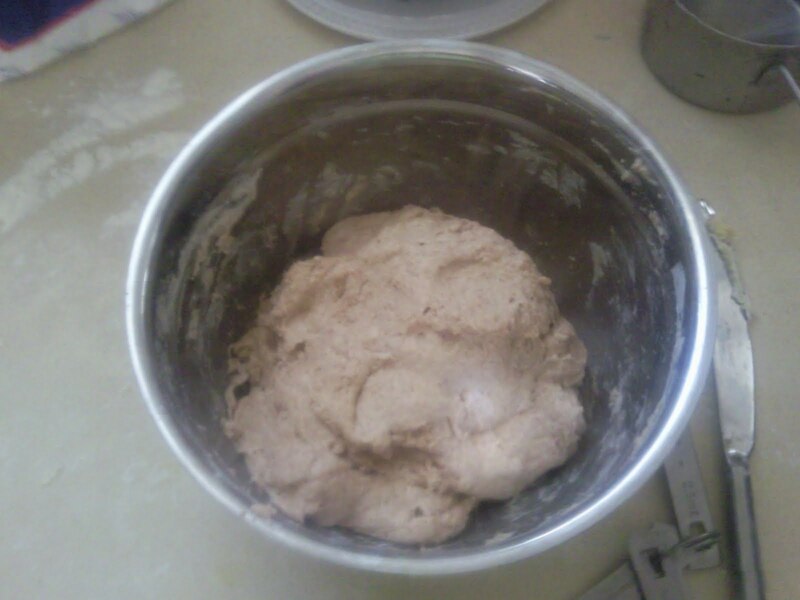 To make the dough, break up the biga and soaker and place in a bowl. Add the remaining ingredients and stir to make a shaggy dough. Turn the dough out and knead until a smooth dough forms. Place the kneaded dough into a greased bowl. Cover and let rise until doubled in bulk. 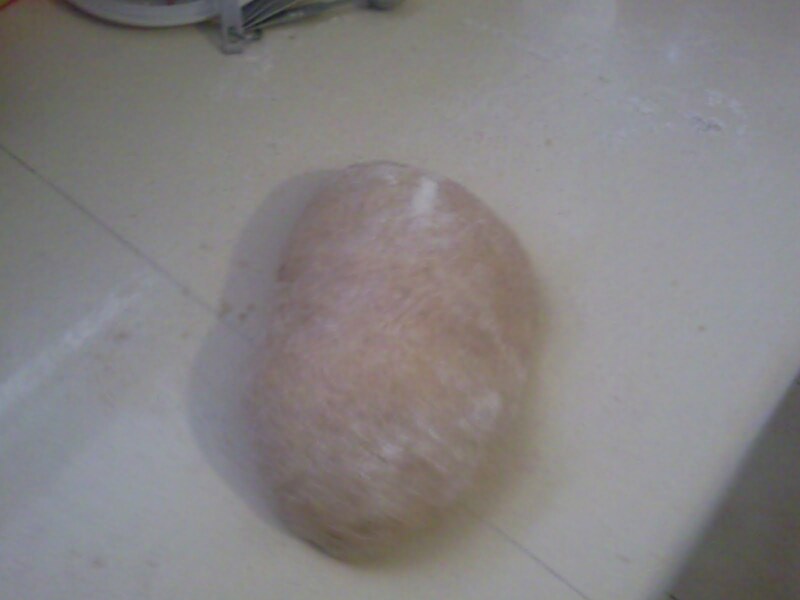 Here is my beautifully risen dough. Scale and shape the dough into loaves. Allow to proof until doubled. I think I let mine go a bit too long. 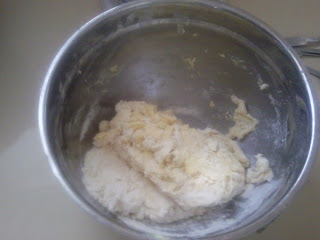 See what I mean that the dough wasnt firm enough? Too much spread. Preheat the oven to 350. Glaze with an eggwash. Bake until golden brown and delicious. Cool on a wire rack. I make this bread almost every week now, and I have found that it does work better in loaf pans. However, I have gotten nice free-from breads,too. I go ALL whole wheat. Love that you are experimenting with different challah recipes. I am going to have to search through your other posts for them!